Like uninvited guests, weeds and diseases are intrusive, destructive and hard to get rid of. 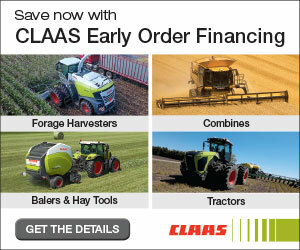 Fortunately, there are cutting-edge solutions to protect your crops. There’s no such thing as a “good” weed or disease, yet some are more needing of attention than others. 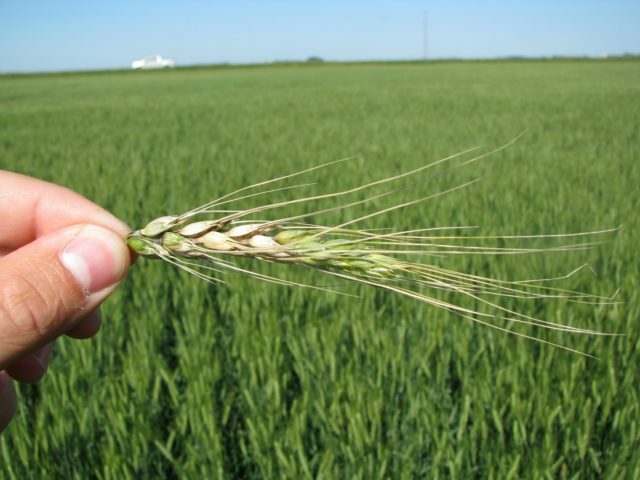 “One to always be on guard for is Fusarium head blight (FHB),” says Mitchell Japp, provincial specialist, cereal crops, crops and irrigation branch with the Saskatchewan Ministry of Agriculture. Though Saskatchewan hadn’t encountered FHB much in the past, that all changed with the wetter and warmer conditions in 2016 that are conducive to the disease. “FHB is a tough one to manage as the controls we have are weaker than for other diseases and FHB can affect crops for years through the side-effects of mycotoxins,” says Japp. Because the disease impacts both yield and quality, many agree the reprieve in 2017 with drier conditions is no reason to let your guard down. For seed treatments, Humphris recommends Raxil PRO, a new generation product for controlling a broad spectrum of seed and soil-borne pathogens in cereals. For fungicides, a strong option from Bayer is the recently launched Prosaro XTR, a powerful cereal fungicide that allows farmers to achieve their best yield while maintaining superior quality and disease control. Another option is Caramba fungicide from BASF. It offers suppression of FHB and leaf disease control at heading. For leaf disease control prior to heading, apply before the appearance of symptoms. The challenge with fungicides is the short window for effective application during the flowering period when the head is emerging from the plant, so here again Humphris stresses a proactive approach. He advises farmers to watch the weather forecasts and if they know there are wet days ahead, they may need to go in early with their application. Also, farmers can adjust seeding rates and fertilizer application to make crops more uniform, increasing the odds of a properly-timed fungicide application across the board. It’s not an easy task with farmers working so many acres today and the window for treatment being a small one, but Humphris says that mustn’t dissuade from action. The fungus Sclerotinia sclerotiorum, which occurs in all the canola growing areas of Canada, causes stem rot of canola. When the sclerotinia fungus infects a plant, it secretes an acid that kills any green part of the plant – including leaves, stems and flowers – and allows the fungus to grow into the “death zone” it creates, consuming all the plant’s nutrients. Since most plants have a lack of natural defences against it, they need help. According to Jared Veness, field marketing manager for Bayer CropScience, it’s hard to get that help from rotation with so many crops affected by the disease. Given that reality, he says the best source of assistance is fungicides. A leading option from BASF is Cotegra® fungicide, which combines two leading sclerotinia actives in one liquid premix for strong disease management across a broad range of crops, including canola, pulses and soybeans. Some diseases remind you of those horror movie monsters: just when you think you’re rid of it, you’re not. Though it’s common to seek a “silver-bullet” solution to such problems, Veness says it’s not realistic in this case. With canola being a cash crop in Western Canada, Veness has seen a real tightening of rotations which may have increased blackleg incidence. He suggests increasing the number of years between canola crops in the rotation to reduce the incidence and severity of blackleg in fields. 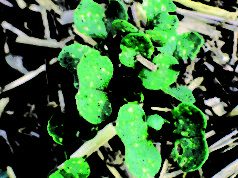 “If you’ve had concerns in a particular field, maintain a minimum break of two or three years between canola crops to protect against the breakdown of current blackleg resistance in hybrids and allow effective long-term disease management,” says Veness. It’s also important to walk the fields and monitor infection levels, ideally in the fall prior to harvest. Scout crops for accurate identification of the proportion of plants affected by the disease to estimate economic impact and assist blackleg management planning. “Clubroot is one that keeps us up the most at night here,” says Veness. A serious soil-borne disease of cruciferous crops, clubroot in canola causes swellings or galls to form on the roots, which ultimately leads to premature death of the plant. “It’s incredibly challenging with a number of factors in play,” says Veness. “The fact that it produces millions – and in some cases even billions – of clubroot resting spores within a single canola plant and the spores have such longevity is very problematic. Clubroot has now spread into northwest Saskatchewan and the Peace Region. Once it is established, Veness says farmers don’t always want to be transparent if their field has issues as it can cause concerns for neighbours. And with no crop protection products currently available, it may be time to think outside the sprayer. Chemical: A canola plant overtaken by clubroot. Chemical 2: An example of wheat that has been infected with Fusarium head blight. Previous articleCan We Plan To Loose Money In 2018?